We are all raised in a culture, whether it is a family culture, community culture, or national culture. We all have a way we view the world depending on how we entered or experienced it as a child. When Bruce says, “Be aware of our conditioning,” he is saying that it is good to acknowledge and be aware that we are not bias free. We start by dissolving our inner attitude, not by altering our outer conditions. Often we think that all our problems will be solved if only “this” happened. Such as if we had more money, got a new car, lost weight, or had this relationship, all which are outer conditions. Most of the time, the outer conditions are a reflection of our inner attitude. Free yourself from your own patterns that you place on yourself. Sometimes we like the comfort of a pattern or a regime to give structure to our lives, but the rigidness of that way of thinking starts to create rigidity in our attitude. One of our current dominant cultures is the workplace and we let it seep into our personal life more and more. It affects how we manage our time. We have to constantly be on task and productive. We are never “off” now that the boundaries of work are more porous. You don’t have to have a rigid framework around everything, take off the rigidity and just do what you need to do. It is not lazy or lacking in ambition to approach your work in this manner, Bruce still says to “apply himself to the work to be done,” but you remove the ego or the taskmaster of the mind. Emptying your mind and being like water helps your mind flow. The hindrances are within your control since you set the limits or regimes. When you encounter a problem or feel negative about a situation ask yourself: How can I expand my thinking around this? Surrender your attitude to and choose another path. If you have an attitude, it automatically creates a hindrance in your mind. It’s clear that these philosophies were helpful to Bruce Lee, especially because during the time Bruce was alive and working towards his goals, other people were constantly putting limitations on him. If Bruce let outside circumstances dictate his attitude or actions, we would not be talking about him today. People can say or do hurtful things, but you have the power within your mind to let that become a hindrance or not. What is harder to do? If someone is being terrible to you, it is easy to fight back, but it is harder resist the altercation and move smoothly around that negativity. You’re doing yourself an injustice if you keep doing the same thing that doesn’t work over and over. You’re never going to get a different perspective if you don’t move a little. As long as you’re grounded, you will find your own way. Bruce was in a whole practice of Mind, Body, and Spirit. His gateway into this mental and spiritual experience was through martial arts and teaching. Bruce strove to be limitless. Your mental lens is such a big part of how you move through the world. Let the spirit out. Your spirit is your animating force, it’s who you are. Drop all the external hopes, desires, worries, and fears, and let who you are shine out into the world. Once you drop all your inner and outer blockage, you can start at the root of your being and figure out who your are. In our cultural upbringing we have an addiction to outside approval. It’s all a game of feeding the ego and it never satisfies. You are chasing and feeding the fear if you obsess on others to validate you. 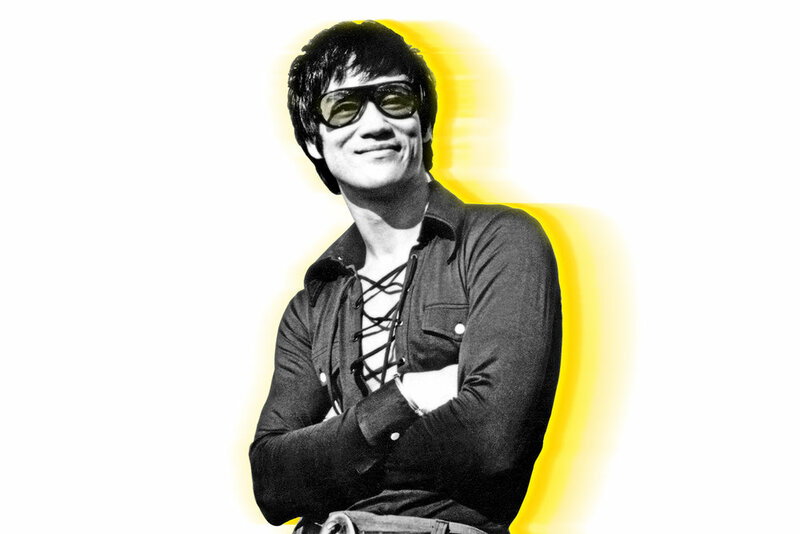 Bruce Lee let his spirit out and that is why we are still talking about him today nearly 44 years after his death. Many of us have personas or masks for every situation, a work mask or a home mask, and it can be exhausting. Dissolve your attitude and judgment; take off the masks to let your true spirit out. Ask yourself this: Can I take off the masks? Can I be myself no matter where I am? Take a step back and ask what your heart really wants. Try being truthful with your spirit and dissolving your attitudes. Shannon had to take action to let her spirit out when she decided to quit acting when it wasn’t making her happy even though it was what she thought she was “supposed” to pursue. She decided to move her energy into taking care of and growing her father’s legacy, something that has brought her a lot of joy. This week our #AAHA shout-out goes to Malala Yousafzai, Pakistani activist for female education and youngest Nobel Prize Laureate. She’s best known for her human rights advocacy for the education of women in Northwest Pakistan where the local Taliban had banned girls from attending in school. In 2009, when she was 11, Malala wrote a blog under a pseudonym for the BBC detailing her life during the Taliban occupation. Then a journalist made a NY Times documentary about her life as the Pakistani military intervened in the region. Malala rose to global prominence and gave interviews and speeches about her experiences. In 2012, Malala was almost killed as the Taliban made an attempt on her life. That murder attempt sparked an international outpouring of support for her. She has since started the nonprofit the Malala Fund, has co-authored a book I Am Malala: The Girl Who Stood Up for Education and Was Shot by the Taliban , been the subject of numerous documentaries, and been on Time magazine. The most important thing is that Malala has become a voice against the suppression of children and women and for education as a right. Malala, as everyone already knows, you’re awesome! Short time listener, first time writer. I am really enjoying the whole podcast series, listened to it from the first (yes I know, not THAT much of an accomplishment) However, it has really led me to some interesting places...like finally being able to confront my fear of death, and find that it is SOOO scary, but that is a story for another time. After the discussion about conflict in our game I have tried to hammer out some answer to conflict/morality/the dark side, but it isn't really an answer, just some thoughts. The germ of the idea came from the quote by Yoda "No, no, no. Quicker, easier, more seductive the dark side is." Defeating evil isn't easy, it is not quick, it is not a one size fits all. The moment any action is taken that is too easily perfomed, too confidently taken, it flows towards evil. The Force is a dam, there to say "slow down and consider another path, then another, AND then act." Conflict is the mechanical means to express that concept: "Slow down, defeating Evil is not quick nor easy. Consider another way. The obvious choice, the one you want, that one is too easy, and that means it is very likely the wrong way to defeat evil." Listen to the Force. Be in relation to it, be with it, and it will be with you. This video of Bruce Lee from Enter the Dragon Finger Pointing to the Moon, illustrates my point: he wants the student to kick WITH him, not just perform the necessary ritual, but to be with him, to kick HIM (Bruce). And to know that this will be different than kicking "Tom". That to kick "Tom" will be a different action than to kick Bruce. The student cannot learn to kick with out learning to kick "Tom" and Bruce and, and, and...... Which means the student will never stop learning to kick. Never at rest will the student be able to, ever a learner, always someone new to "kick". This concept of morality/defeating evil is different than performing rituals/rules, it is dancing, not for others, but with each other, and each dance is different. The just response in one situation will not be the just response in the next. True justice then requires that we approach each case/person/event as one we have never seen, because the truth is we haven't "encountered" that person/case/event before (and that is not the normal way we react, usually we form patterns and react to those patterns, not the people/places/things we are with. Thanks for the podcast, I enjoy it and your insights.